Hanno’s wheels have arrived! And what a difference it has made. Thank you CTCT riders for helping to make this a reality! Here’s a message from Chantelle, Hanno’s mom. To all Hanno fans and supporters. 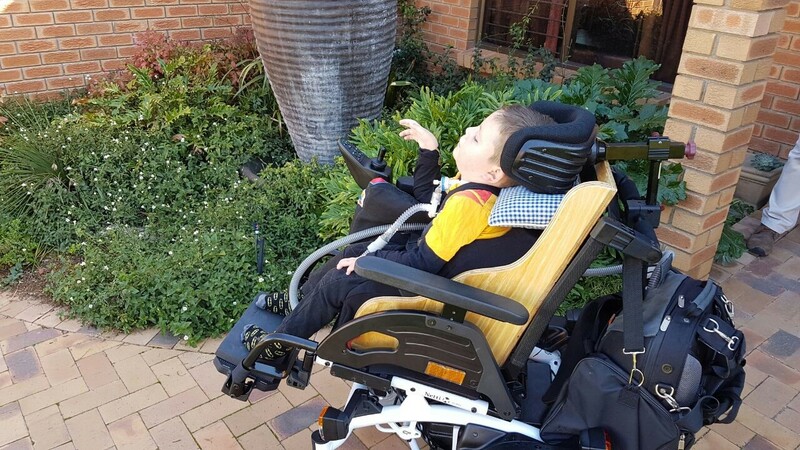 Hanno received his new Netti electric wheelchair, supplied by Sitwell Technologies, and the moment was filled with so many mixed feelings. Cries and laughter. We have never looked back. The process of adapting our home to make it more wheelchair friendly is in the planning phase. Hanno practices driving his new chair in Tygervalley and other big stores. He recently had his first minor collision with shelves in Musica 😲. Hanno, now more than ever, has more self confidence that leaves us standing with pride. He goes to girls and greets them. They stand amazed and chat back with a big big smile. 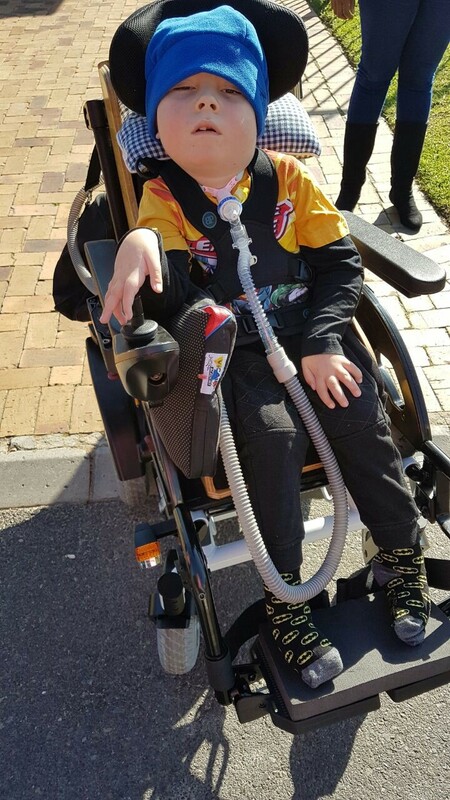 Enjoying his wheels with a song in his heart. He even gives his friends lifts sometimes! ❤ To many more miles!